I live in the heartland. The nearest ocean is 500 miles away. Still, starting late next week the town will be filled with Sailors. It’s all part of an initiative that began in 2005 when the Navy realized that while waterfront cities enjoy Fleet Weeks and port visits, there is a big country in the 3000 miles between the coasts with towns that rarely see a Sailor, let alone a ship or Navy jet. In our case, the Leap Frogs will be here and jump eight different times – most of the jumps will be at the fairgrounds during the state fair. The Navy band has ten concerts scheduled. Meanwhile, Flag officers will speak at different venues throughout the area, and Special Forces Sailors will take on various organizations in a competition called the SEAL Challenge (my money is on the SEALs). 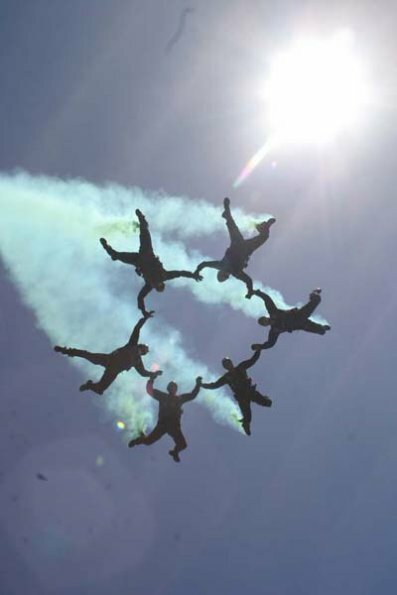 All week long, the Navy will host static and interactive displays for the big crowd at the fair. This is a big deal in a land locked state, as evidenced by a proclamation by the Governor announcing Navy Week in Idaho. Pretty cool if you ask me. And good on the Navy for recognizing that patriotism and love of the military spans coast to coast.